Board Games - Egypt has always been a place that interests me. The mysteries of the pyramids, Indiana Jones and The Mummy have always held my attention. 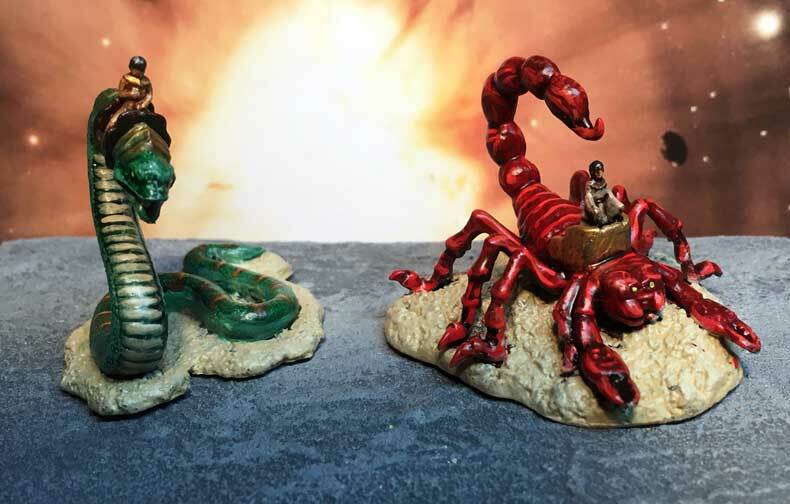 When a client brought me Kemet to paint I was a excited to paint some Egyptian monsters, Of course the boatload of tiny plastic people would be its own challenge. I started with the small pieces as the amount of detail I could get on them would dictate what I did with the rest of the pieces. I started with a tan base coat followed with a wash of Reikland flesh shade. This gave me a nice base and picked out the details that I would need to paint on these tiny pieces. 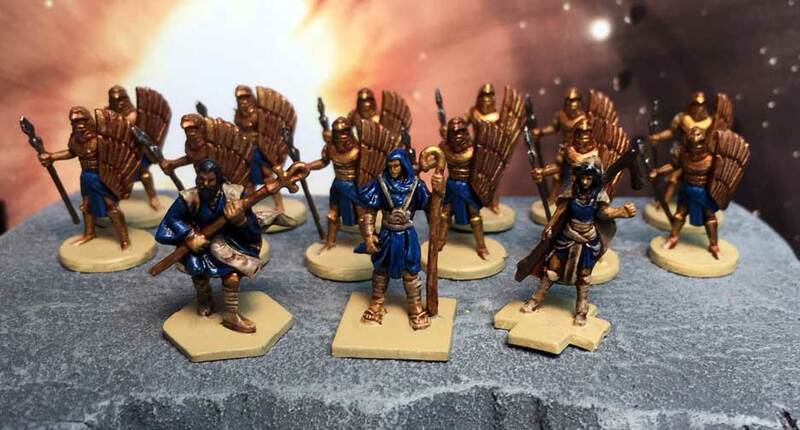 In order to make it easy for players to identify their colored components I painted the robes to match the color of the base plastic. 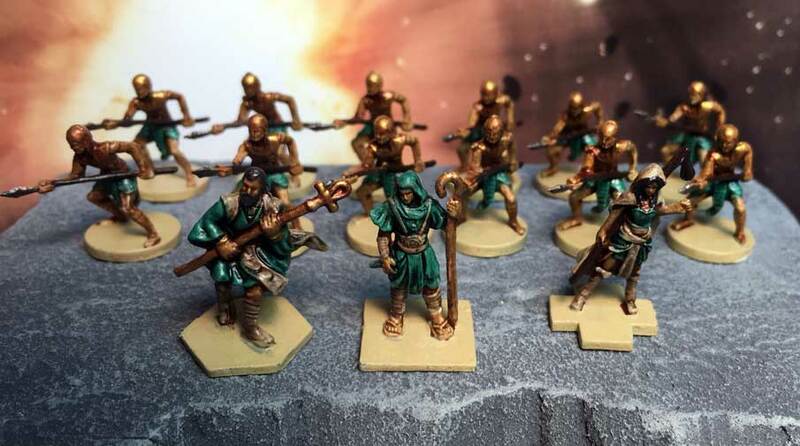 Then used either gold or gunmetal to highlight the weapons and other details. Surprisingly the detail on these tiny pieces is pretty good and once they have paint on them they look really good. Next I started working on the monsters. These models are a bit larger so there's more detail to work with. 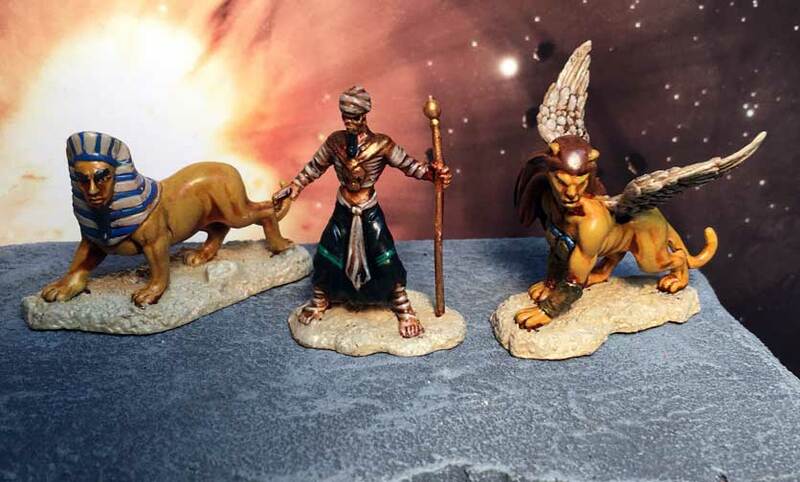 Each of the models was painted to a tabletop standard. The phoenix sculpt is one of the nicer renditions of the legendary bird that I've seen. I painted this using the same fluorescent paints I've been experimenting with for fire effects. 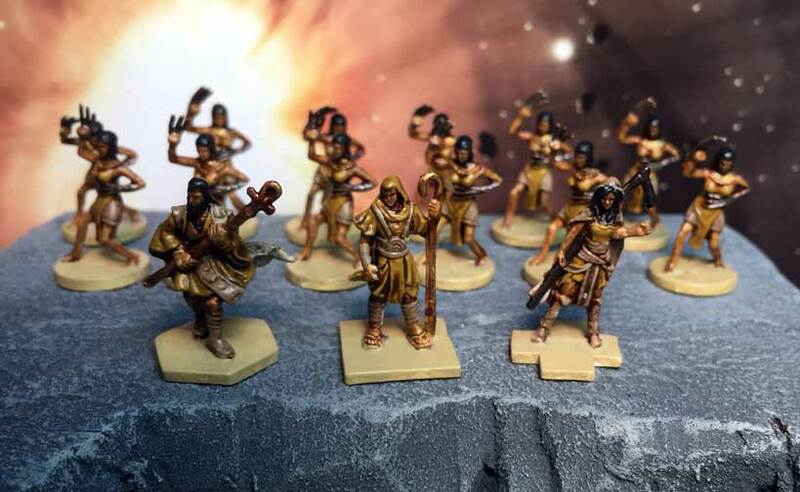 The rest of the models were pretty straightforward to paint with a basecoat, wash and highlight.